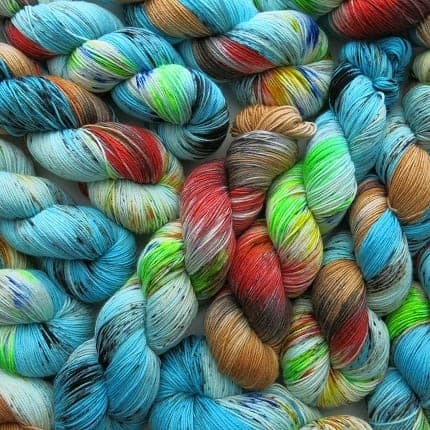 Did you know that My Mama Knits offers more than just gorgeous hand dyed yarns? 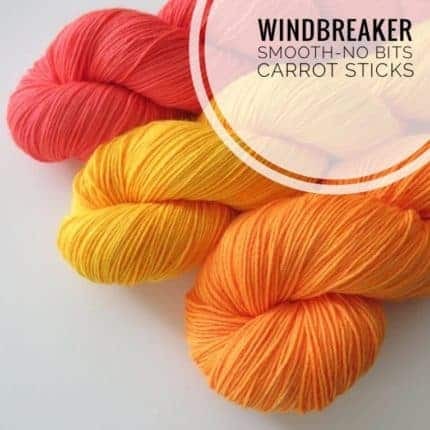 Whether you are shopping for yourself, a good friend or getting to know a new fibre swap partner, you will find something sure to delight in our Needles, Notions, Gifts and Goodies section. 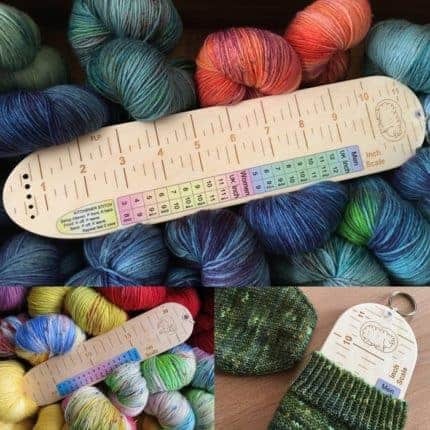 There you will find a quirky selection of hand-sewn project bags made especially for us by Amelia X Joy, stitch markers in singles or themed sets, and hand made birch wood Socker’s Rules by Fleece Loved Products. 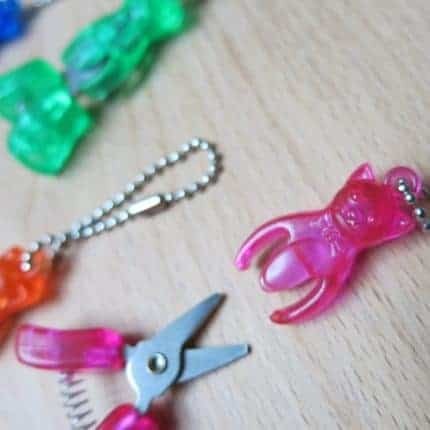 We also stock a range of HiyaHiya products perfect for the knitter, such as cute animal snips, glitter cable needles and short 9″ circulars in bamboo or steel. 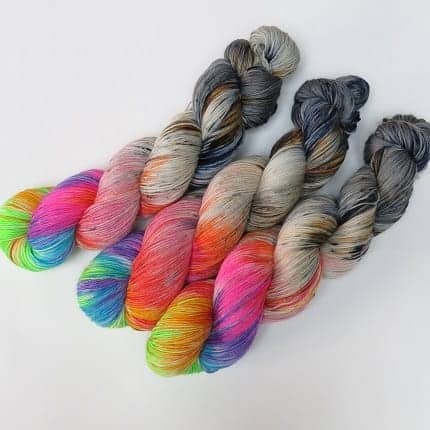 Need a birthday or gift card for that special fibre loving friend? 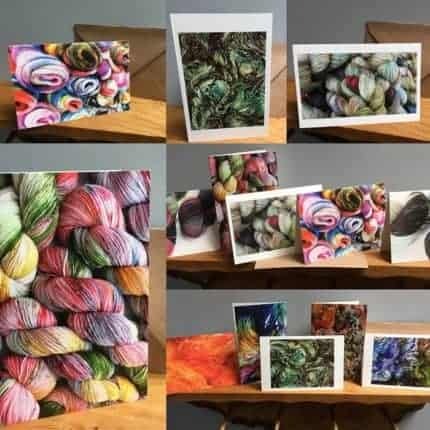 We also have a range of stationary featuring luscious photos of knitting in nature and our yarn. 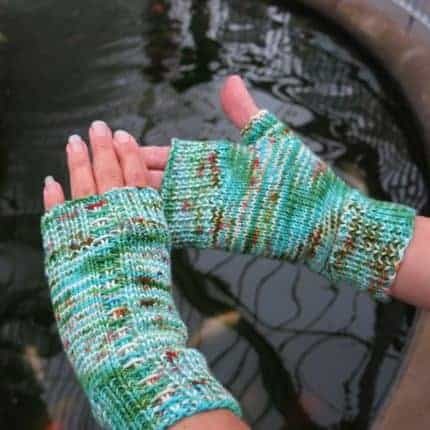 Come and check us out and find something you love. 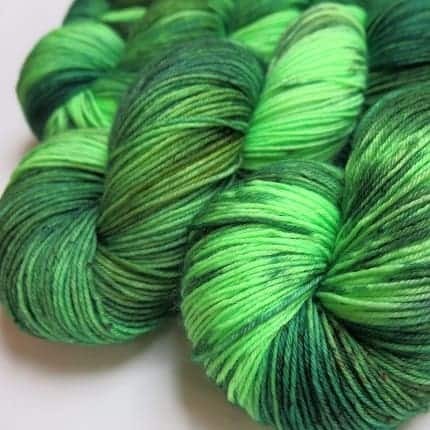 Come and check out this years Halloween offerings, including the newest addition to my Scottish Myths and Legends series, The Gorbals Vampire. 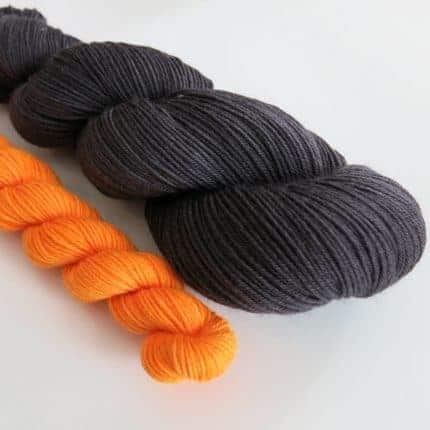 Also available is my blackest black yet Witches Cape which has been paired with bold UV Reactive minis for spooky sock sets. 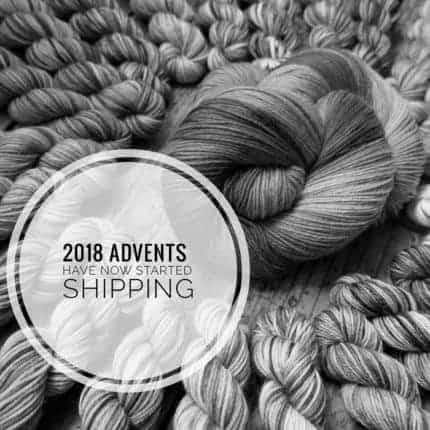 And for those of you already planning your winter knits — 2018 Advent Calendars have started shipping out! 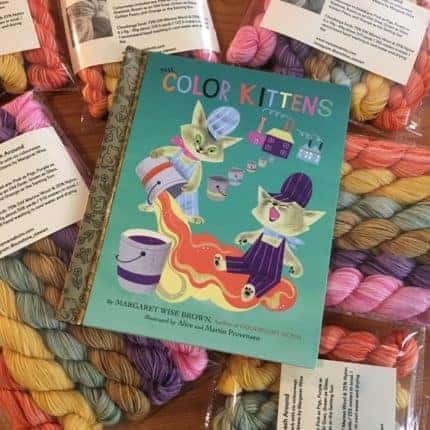 Calendars come in a variety of options and each of the 25 wrapped and dated mystery minis are sure to delight over the holiday period. 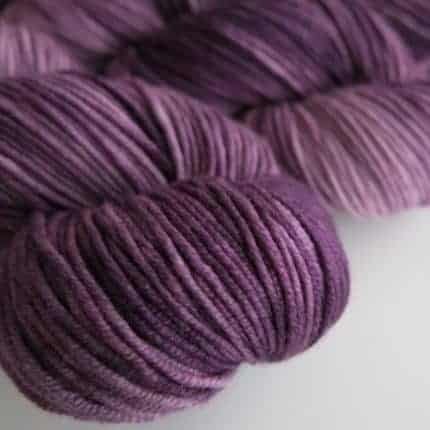 Not into surprises but still wanting to join along in any of this years Advent KALs? 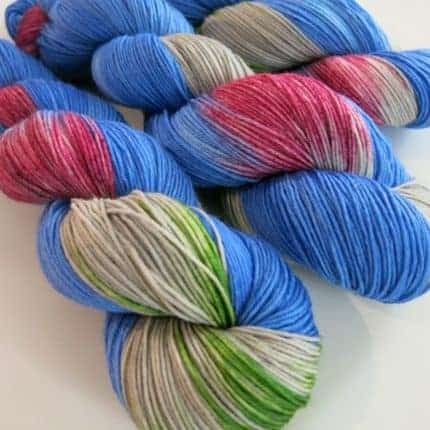 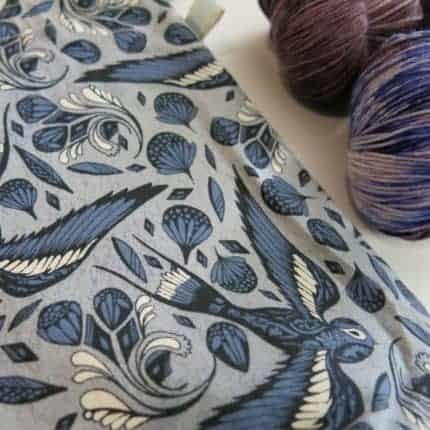 Why not try one of my special 25 mini skein kits, perfect for patterns such as Ambah O’Brien’s ADVENTurous Wrap from last years KAL, or why not keep an eye on her Ravelry group for this year’s new ADVENTurer KAL? 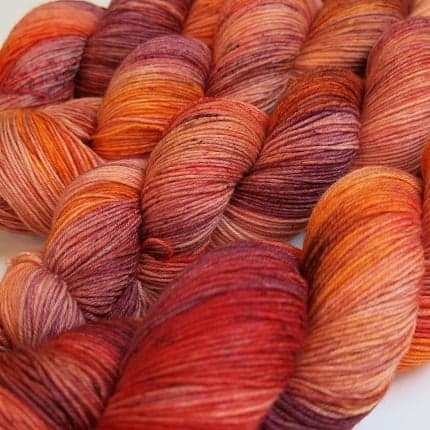 Exciting news at My Mama Knits! 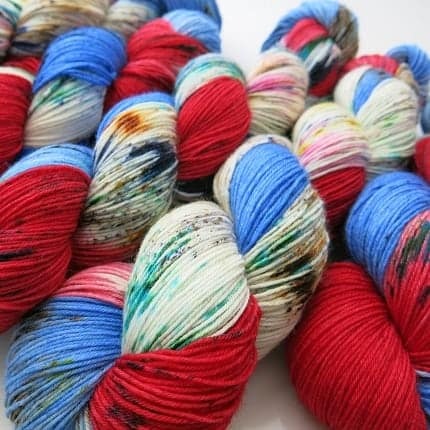 Along with having some fabulous new colourways, we have a new web address. 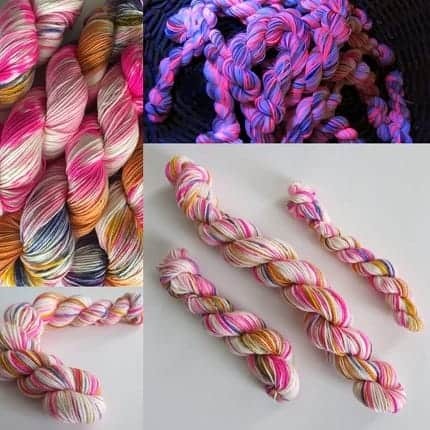 Having the new site has allowed us to offer a better variety of items, including single mini skeins in a variety of sizes from 5 to 20 grams. 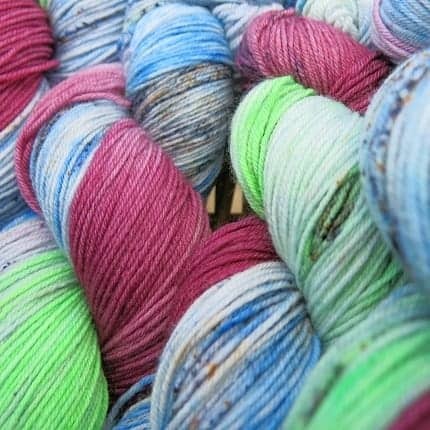 Build your own set, sample a colourway or add a pop of colour to your project. 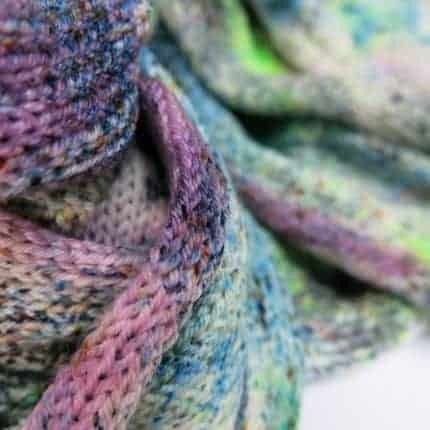 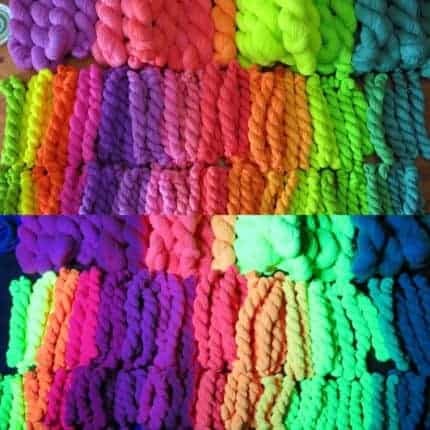 For the UV reactive lovers, we have been working to include photos of our popular black light yarns under natural and UV light, so you can plan your fluorescent effects to perfection. 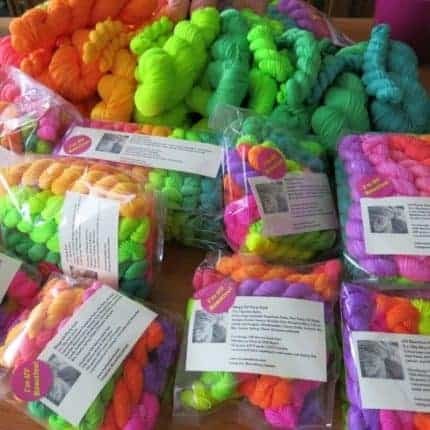 Check out the new site at mymamaknits.com. 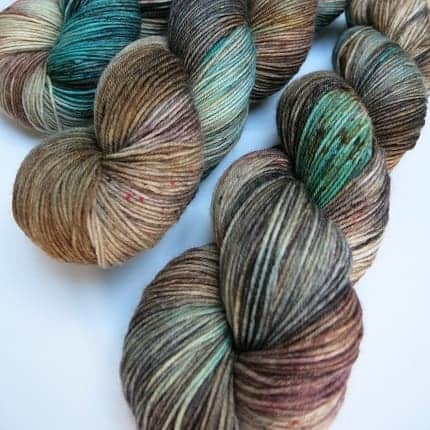 New colourways for the water lover in you. 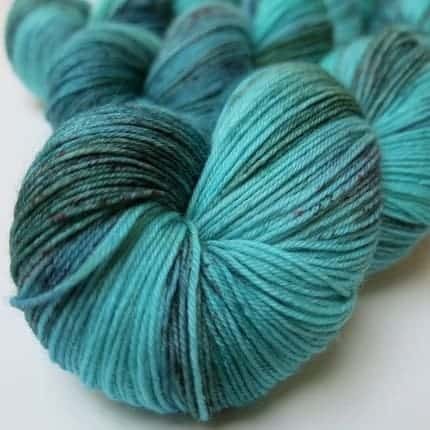 Inspired by sea and water lore, take a journey along the shoreline and into the depths. 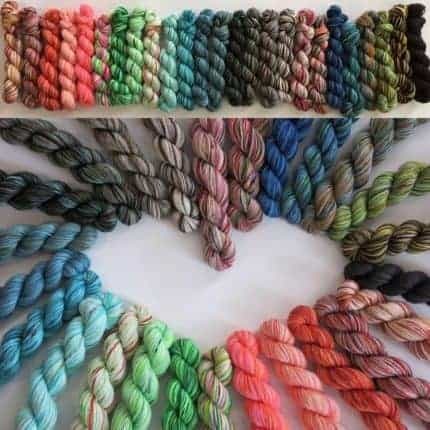 Pictured are just a few of the colours in stock: Water Hound, Kraken, Blue Men of the Minch, Mermaid, and Selkie Coat. 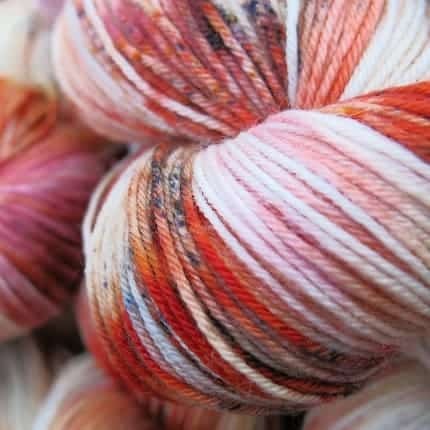 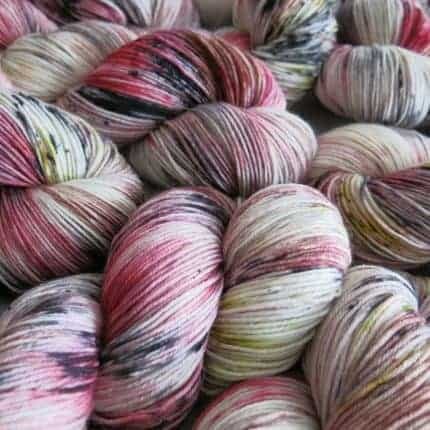 Available in themed mini skein sets or as full 100g gram skeins in DK and sock weights. 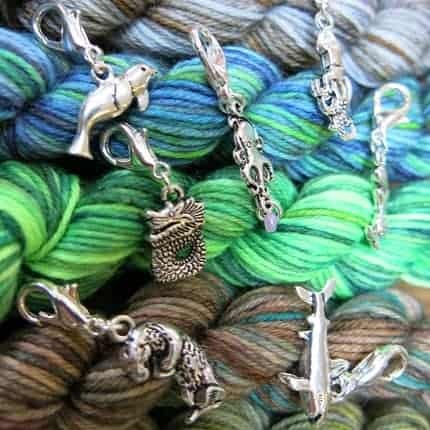 Why not pick up a matching stitch marker set? 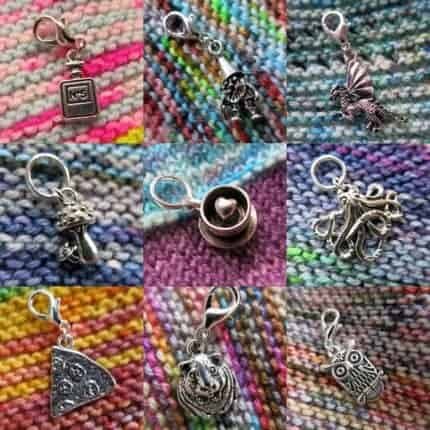 All stitch markers in the shop are on sale until 28th February, including my Alice in Wonderland and Day of the Dead sets. 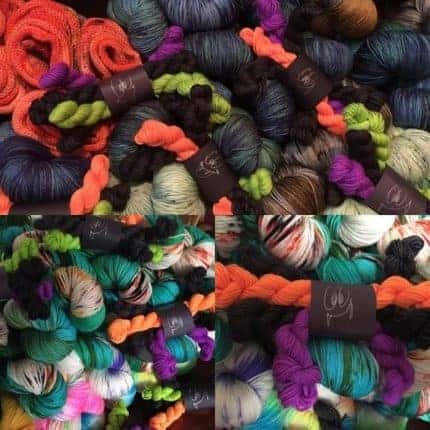 Halloween is here at My Mama Knits! 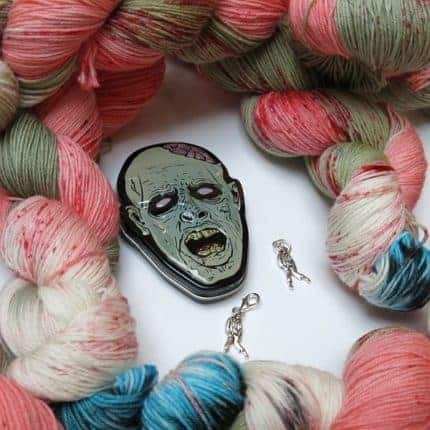 Halloween is nearly here and I couldn’t be more excited! 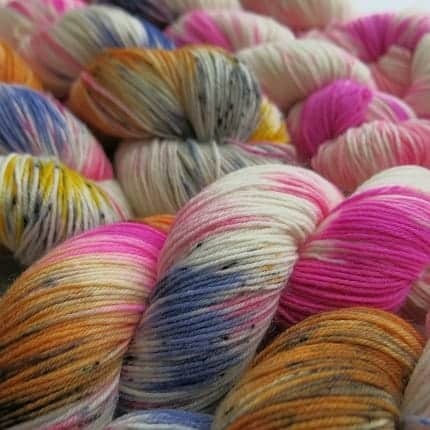 All through October I’ll be sending out 20g mini Sock Yarn Spiders as a free treat with any order over £40 (not including shipping). 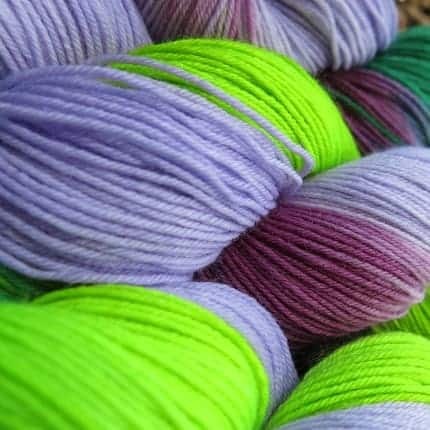 Qualifying orders can be comprised of anything form the shop, yarn, patterns, notions, etc. 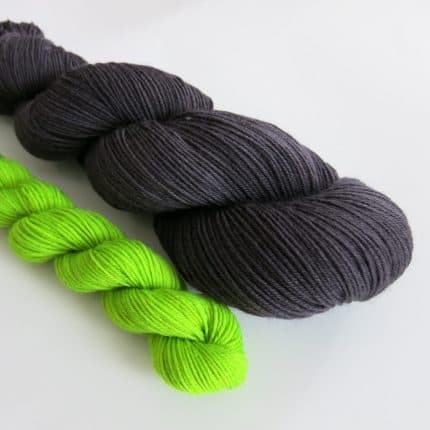 Plenty of spooky colourways and haunting notions to treat yourself with. 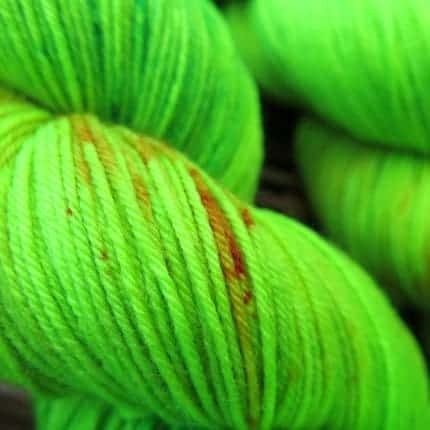 Pick up a Zombie Breath or Frankie on Fire single stranded sock blank for some speckled delight. 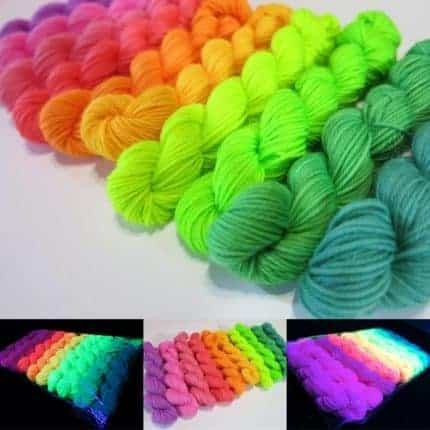 Or fancy something UV responsive? 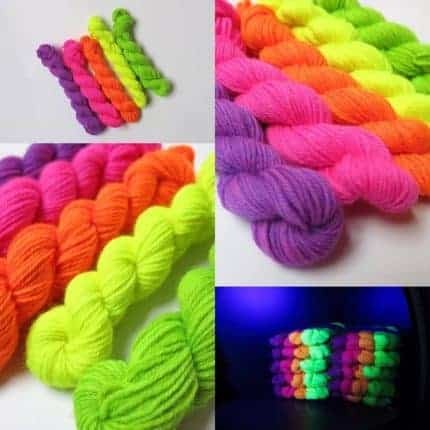 Try a set of my UV Heels and Toes mini skein packs or a Sock Yarn Spider for glowing black light fun. 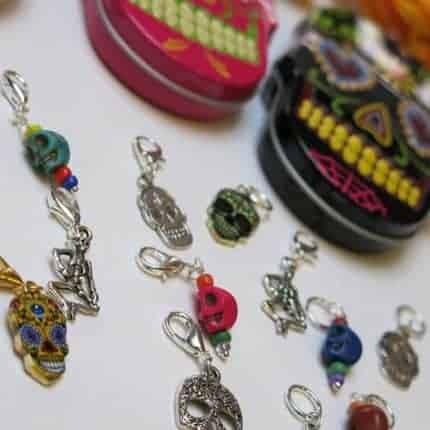 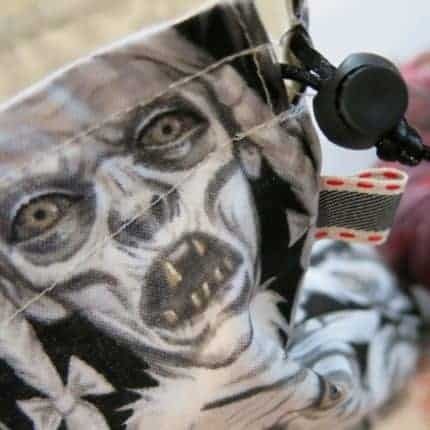 Decorate your projects with some fun Day of the Dead Skull or Zombie stitch markers. 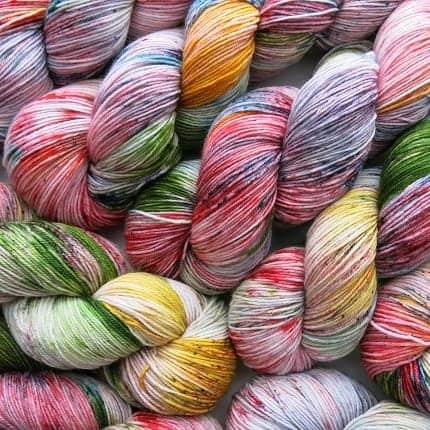 As your attorney, I advise you to take a trip with My Mama Knits new set of twelve speckletastic colourways inspired by Hunter S. Thompson’s Fear and Loathing in Las Vegas. 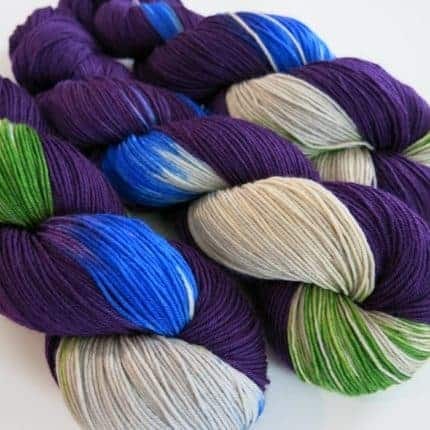 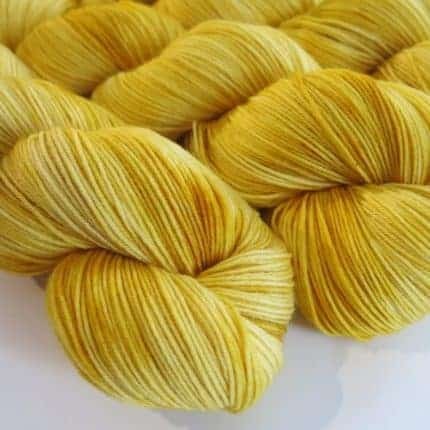 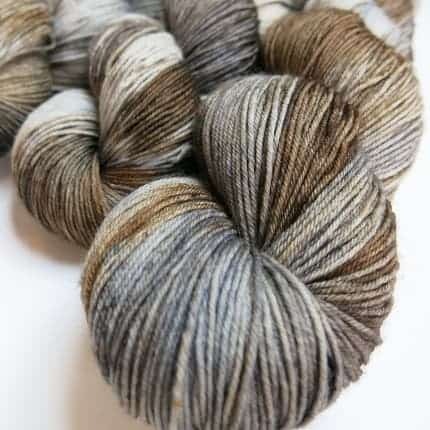 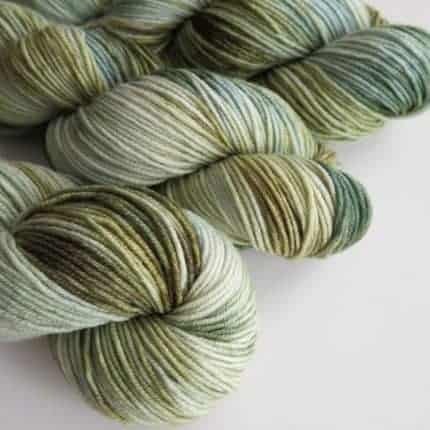 Available on Superwash Merino and nylon in both sock and DK weights as well as sparkle silk and Merino DK. 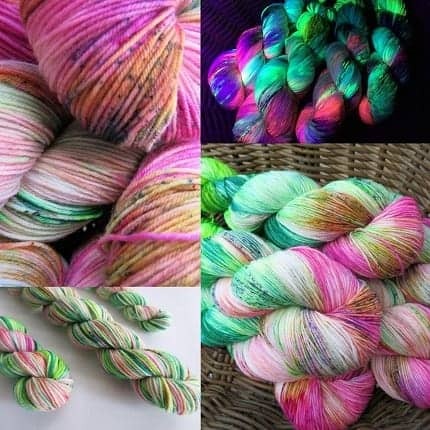 Can’t decide which one to get? 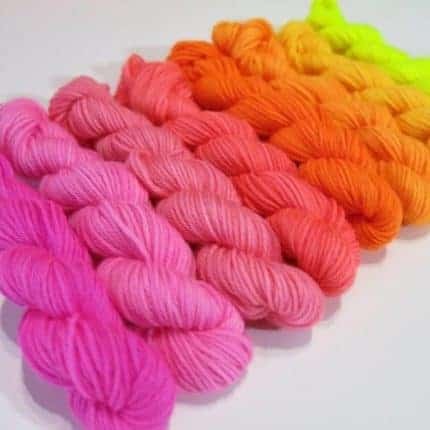 Try them all in a sock weight miniskein set. 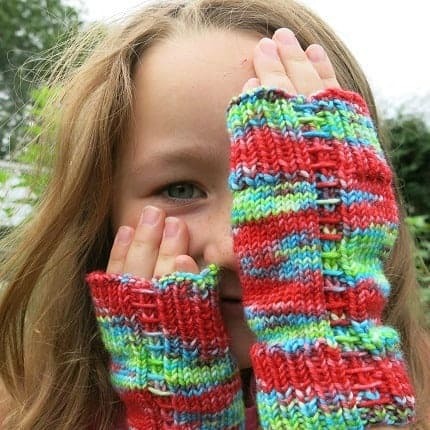 Need a project to do with the kids this Spring Break? 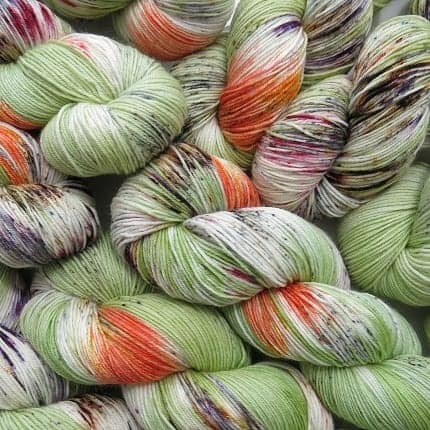 Looking to try out dyeing? 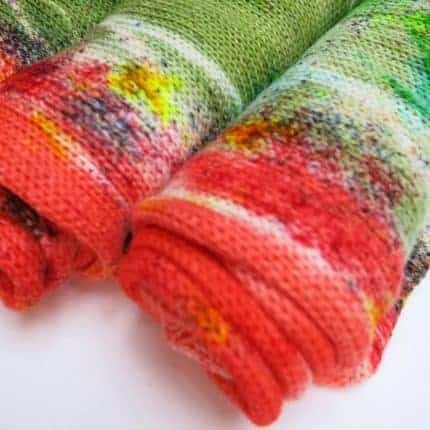 Check out my Kool-Aid dyeing kits complete with instructions, supplies and a pattern to make with your creation! 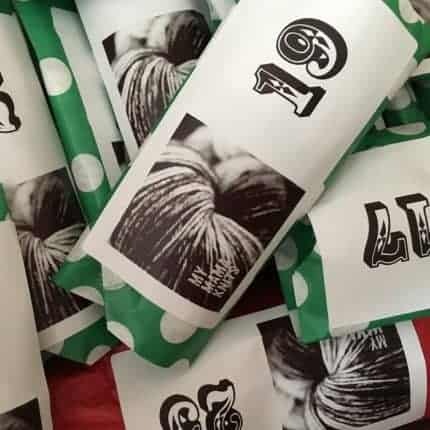 Available in DK and Sock weights.